Michael Jackson may be appearing with the reformed Jackson 5 as a hologram, according to the NME. Jackson may follow in the, erm, footsteps of Tupac Shakur, who reappeared onstage with Snoop Dogg at Coachella two weekends ago thanks to optical wizardry - despite having died in 1996. Jackson’s brother Jackie told The Sun: “It could have been Michael - absolutely. Wouldn’t that be wonderful?” He added, “As a matter of fact, we had that idea two years ago for Michael’s Cirque du Soleil show”, referencing The IMMORTAL World Tour dance-music-light extravaganza currently touring the States. Fans may want to hold their breath though - it’s not the first time there's been talk about the Jackson 5 reforming. Back in 2007, Jermaine Jackson hinted that plans were underway for both a tour and some new recordings, though neither came to fruition. 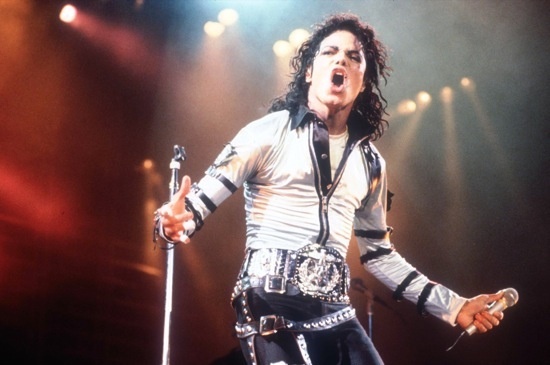 It’s also unconfirmed as yet whether the hologram MJ will share the late King of Pop’s taste in drinking pals and oversized novelty underwear.